Supported living services (SLS) support people who want to live in their own homes. Supported living services offer an array of services that are available to anyone who desires (or whose family, advocate, or conservator desires for him or her when someone cannot express their own choice) facilitation, instruction, support, and assistance to live in the home of his or her choice. If you have not yet completed an application, please complete the following form. Click here for the job description. Which open position are you applying for? State law requires that persons associated with licensed facilities or Home Care Aide Registry applicants be fingerprinted and disclose any conviction. A conviction is any plea of guilty or nolo contendere (no contest) or a verdict of guilty. The fingerprints will be used to obtain a copy of any criminal history you may have. Please click here to download the Criminal Record Statement. A completed copy must be submitted with your application. Please submit the following document before submitting your application. * Has your license ever been revoked or suspended? * Do you have a reliable vehicle that is currently insured? * Willing to provide proof of insurance and DMV printout? Did a current New Start SLS employee refer you to us, and if so, who? Do you have a diploma? New Start is a business that schedules direct care staff to meet our consumer's needs. The nature of our business requires staff to understand that schedules will be flexible to our consumers needs. Schedules are subject to change at any time. New Start understands that this may be a second job for many staff, however that does not imply you may adjust your own schedule. 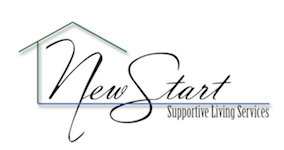 New Start is contracted to provide training and assistance to our consumers based on their needs and schedules. New Start asks all applicants and new hires what days and hours they will be available to work. When hired, the Program Manager(s) will then match your available hours with our consumers. Once the schedule has been made, there is no guarantee those hours will remain unchanged. Our consumers have a say in scheduling and may modify their schedule at any time. This does not suggest that consumers and staff may change their schedule without proper authorization. Remember New Start's management must approve all schedule changes. New Start provides services to our consumers seven days a week, this includes weekends and holidays. Staff is required to submit a two-week notice when requesting day(s) off. A Program Manager will review your request, and will determine if they are capable of approving your time off. Please write down the hours you ARE available to work below. Use a range of hours beginning with your first possible availability to work on that day of the week and ending with the latest hour you are available (for example, 4:00am – 11:59pm). Write something for each day of the week, even if you are not available. Please keep in mind that changes to availability made after a schedule is published will not take effect until after the next published schedule. Also note – if you were hired for weekends and become unavailable for weekends, you should call Melissa and/or your Program Manager to discuss this change as we cannot guarantee you will continue to be on the schedule with a drastic availability shift.